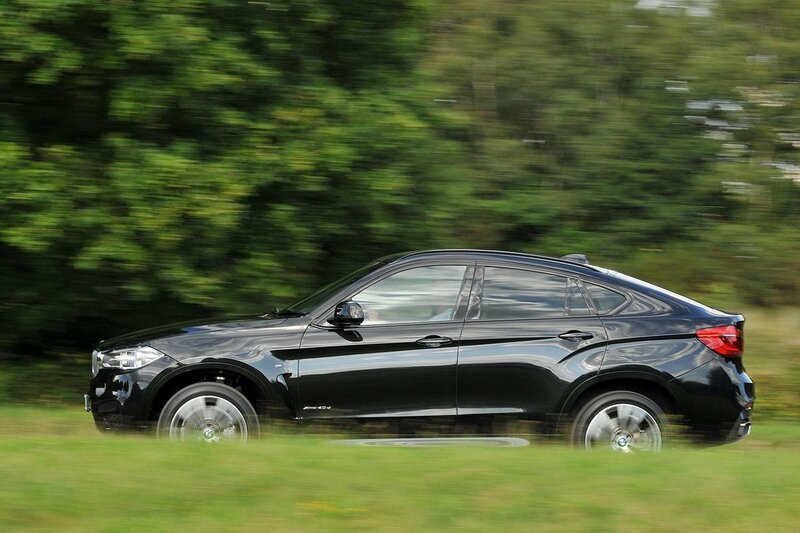 BMW X6 Performance, Engine, Ride, Handling | What Car? You’re not short of options if you want good performance from your X6. The least popular engine is likely to be the 4.4-litre turbocharged 50i V8 petrol, which is a shame. It’s brilliantly smooth at all revs and has no problems catapulting the vast X6 down the road with a tuneful exhaust note. In fact, it’s the fastest X6 in a straight line. The trouble is it doesn’t make much financial sense next to the diesel options. The first of those diesels is the 30d. It has six cylinders and feels suitably muscular at low revs, yet is no slouch when pushed hard. As the best blend of price, performance and running costs, it’s the one we’d go for. However, there are two further diesels should you want even more get-up-and-go. First is the 40d, which is based on the same engine as the 30d but adds more power and torque. That means a quicker sprint time, but also worse official fuel economy. At the top of the range sits the M50d, which gets the same engine but with a triple-stage turbocharger that brings the sort of performance sports cars owners dream about. However, given how strong the lesser diesels are, we can’t really see the sense in spending the extra money. All X6s come with adaptive sports suspension, which means that, although you can choose how hard you’d like your ride to be on the move, all settings are on the firm side in the name of better handling. That’s not to say the X6 is outright uncomfortable – at motorway speeds, in particular, it glides along with very little of the road surface causing a ruckus inside. It’s worst when at low speeds in town, where the X6’s bulk is allowed to thump into potholes and ruts too readily. 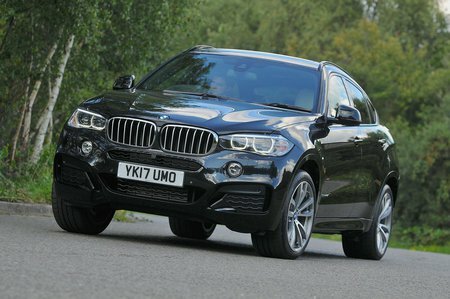 The X6 is among the best cars of its type when it comes to handling but, unfortunately, it isn’t quite the best. For instance, an Audi SQ7 seemingly defies the laws of physics through corners and a Porsche Cayenne feels more agile. Nevertheless, the X6’s steering is pleasingly weighted and it always feels eager to turn in to corners. Certainly, it keeps its body in better check than cars such as the Mercedes GLE Coupé and Range Rover, both of which place comfort firmly before agility. Selecting the X6’s Sport or Sport Plus driving modes brings better throttle response, weightier steering and firmer suspension to get the best out of the car when flung through bends. While the 50i petrol is smooth and quiet, the diesels are less reserved – when pushed hard, they become quite vocal. This gets worse with more power, so the 40d and M50d are worse than the 30d under load. There’s also some vibration through the control at high revs. 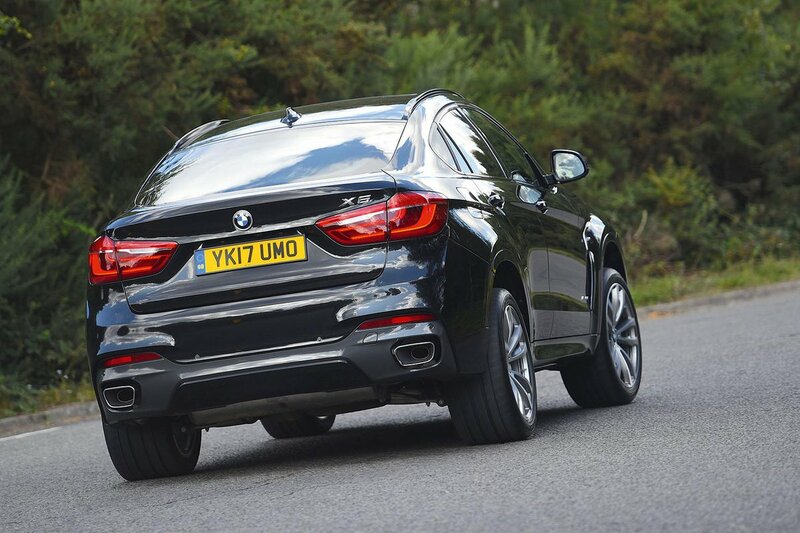 Beyond the engines, the X6’s large wheels kick up quite a bit of tyre noise at high speeds over coarse surfaces, while some wind noise is whipped up by the mirrors.